Antony John and Tina VandenHeuvel are pioneers of organic farming in southwestern Ontario, supplying superb quality vegetables and salad greens to the top restaurants in Stratford, Toronto and Niagara. 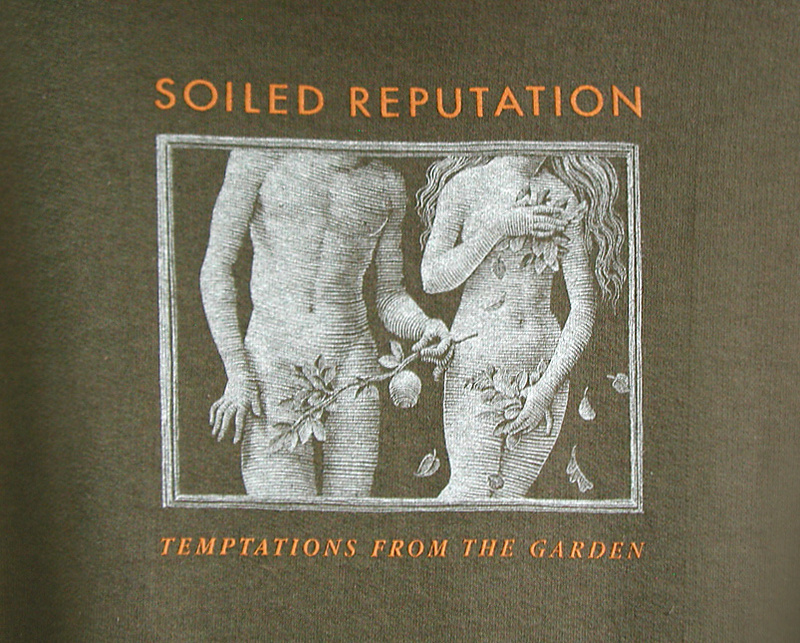 Punch & Judy developed their graphic identity — Christina suggested placing the name “Soiled Reputation” (with their tag line “Temptations from the Garden”) in the context of Adam and Eve, evoking the original organic garden in the book of Genesis. 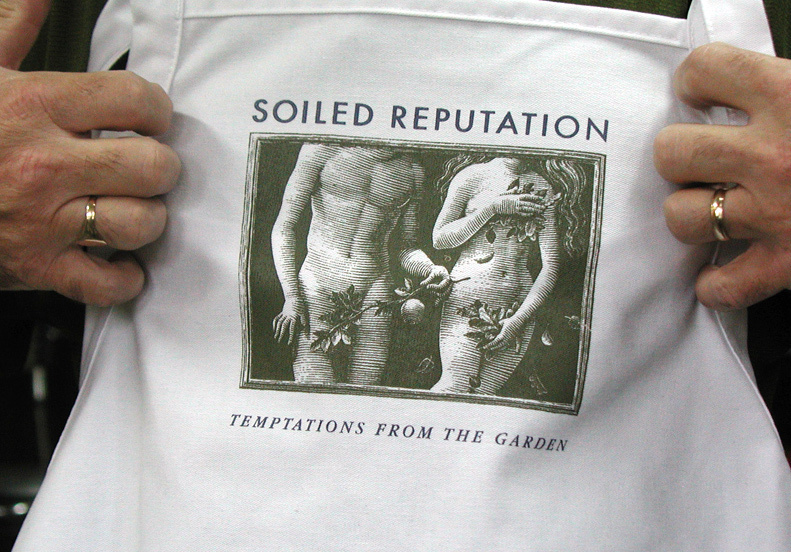 Scott's engraving appears on their packaging, signage, shirts and aprons.